The use of conveyors in material handling has been around since the early 20th century and can be known as the back bone of material handling. Belt conveyors range in length from a few feet to several miles. They carry everything from small packages to thousands of tons of bulk material per hour. A belt conveyor can unload a barge load of coal and deliver predetermined amounts to several, one hundred feet high silos, a thousand yards away in minutes. 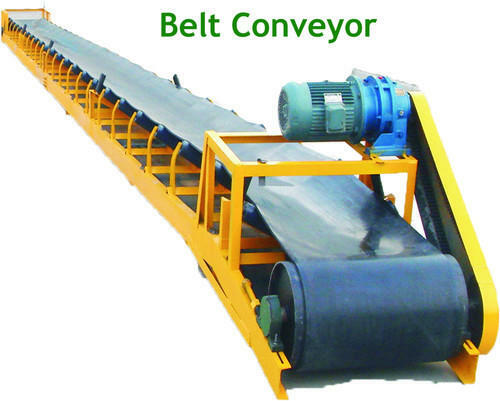 Another belt conveyor will precisely meter variable amounts of the coal to a boiler. With their long history, conveyors are easier known as a piece of equipment that moves material from one place to another and are especially useful when applications call for the transportation of heavy or bulky material. Conveyor systems also allow quick and efficient transportation for a wide variety of materials at all shapes and sizes. This class is developed for companies who not only want a highly skilled workforce but also want to experience the full benefits of improved conveyor performance. After the completion of this training, the participant should be able to understand the terminology, selection, safety, operation, maintenance and troubleshooting the problems of conveyor.